Here is a map shows territory of Kazakhstan. detailed map of Almaty 1 cm to 1 km presented. topographic map of Vtoraya Pyatiletka и OziExplorer calibration this. 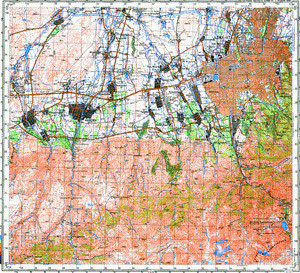 free map of Raimbek download for free. interesting map of Turar calibrated displayed. interesting map of Troitskoye и OziExplorer calibration displayed. detailed map of Chemolgan и OziExplorer calibration for you. interesting map of Qaskeleng with gps calibration download for free. detailed map of Put' Il'icha with gps calibration for gps. interesting map of Abay displayed. actual map of Turar with gps calibration free download. map of Pryamoy Put' calibrated for you. map of Politotdel with gps calibration displayed. interesting map of Kamenka calibrated this. map of Iryubay и OziExplorer calibration for Garmin. topographic map of Zhandosovo free download. interesting map of Imeni Stalina here. free map of Karagayly calibrated presented.